The Albatros Airport Hotel is located near the city of Frankfurt Am Main, in the center of the Rhein-Main region, within quick reach of the most important places in this area. 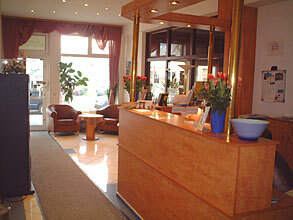 It is less than 6 kilometers from Frankfurt Rhein-Main Airport, from which there are convenient connections by bus. A shuttle service is also available free of charge (on request). At the hotel you'll be welcomed by the friendly hotel staff, who will do their most to make your stay a pleasant one. There are 40 double and 20 single rooms available at the hotel. All of them very comfortable, quiet, and equipped with a shower, bath, WC, pay TV (free of charge), business desk and Internet connection. Some of them are also available with a mini-bar. Every morning you'll be served a rich breakfast buffet for a good start of the day, and in the evening you can relax in the Zeppelin Bar. 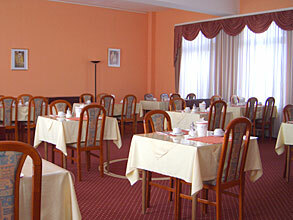 The in-house restaurant offers a varied international menu. 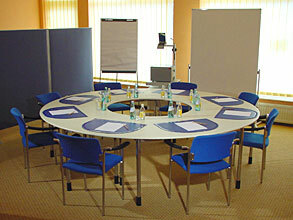 If you are planning a meeting in this area, the Albatros Airport Hotel puts at your disposal conference facilities capable of accommodating up to 100 people. Parking is available in the hotel's garage. For your maximum convenience, the reception is open 24 hours a day. 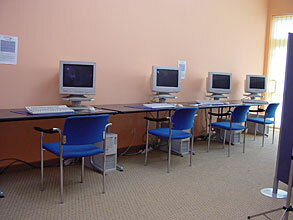 Other services available include a car rental desk, laundry service, and Internet Cafe (free of charge for all guests). The below mentioned rates are already discounted, up to 18% in comparison to the rack rates. Tax and breakfast are included in the rate. 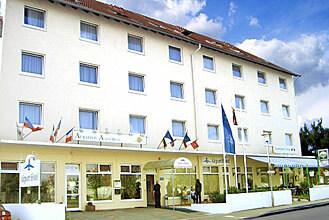 The Albatros Airport Hotel is placed near the city of Frankfurt Am Main, in the heart of the Rhein-Main area. It is close to the banking district and the local train station. A shopping center, fitness center, and the Walldorf and Langen lakes are within only a five-minute walk. The hotel is about 12 kilometers from Frankfurt's fairgrounds and less than 6 kilometers from Frankfurt Rhein-Main Airport, from which you can reach the hotel by bus (no. 5514 from Terminal 1 in the direction of Walldorf, leave at bus-stop "Wohnpark"). From Frankfurt Central Station take the train or the S-Bahn Linie 7 in the direction of Gross-Gerau, get off at Walldorf (about 15 min. from Frankfurt Hbf).